With great courage, humor and knowledge, Nicole shows readers how to discover peace and joy in the craziness of life. Our world will offer us so many distractions, it will even attempt to thwart us off our path or make us frustration when we need to be present. 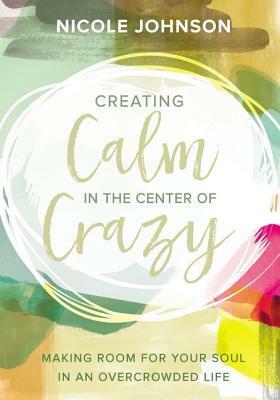 Ms. Johnson gives practical tools on how to handle chaotic schedules and life when things get difficult. I enjoyed this book from a psychology standpoint. I think she does a fantastic job from that angle. I would have liked to see her ajoin the spiritual aspect more with this book. I think faith is a key element too. While she touches on it, I think she could have merged the two more, which is why I am giving this book 4/5 stars. I think this book is good, but it did not hit the faith aspect as deep as I had hoped for. Thank you to the publisher for providing me a complimentary copy. A favorable review was not required.